Donate Today - Gone To The Dogs Rescue Inc. The donations and support we receive from individuals like you is the sole reason we’re able to do what we do. We are so grateful for your financial help. By making even a small donation today, you can touch the lives of the many deserving, wonderful animals in our care. There are many ways you can donate and help, and every dollar means so much. 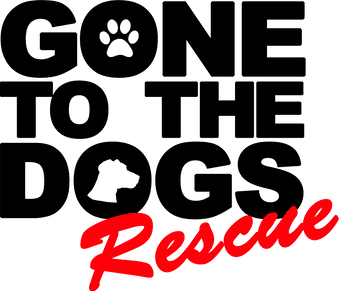 Gone to the Dogs Rescue is a completely volunteer run organization! The donations and support we receive from individuals like you are is the only way we can continue rescuing dogs. law since 2011 the year we founded our community cause. Our federal EIN is 45-2459450. Are you an American Express Card Holder? Members Give provides different ways to make your donation. You can set up a recurring donation so that you can give the amount you want and spread it out over the year. And, if you are enrolled in Membership Rewards®, you can redeem your points for a donation (1,000 Membership Rewards points = $10.00). Gone to the Dogs Rescue Inc.